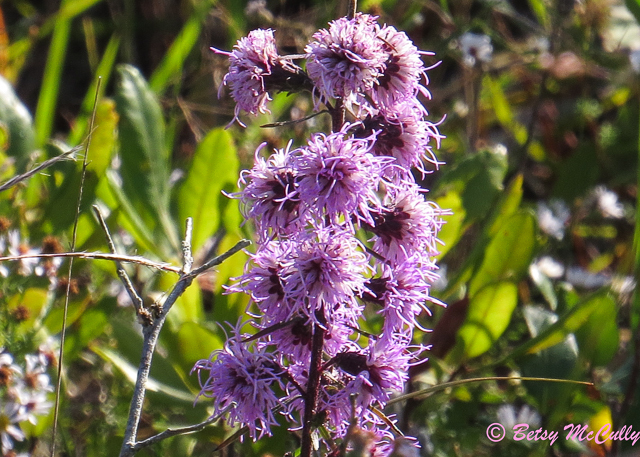 New England Blazing-star (Liatris scariosa var. novae-angliae). Asteraceae family. Native. Open woodlands and barrens-sandplain grasslands and coastal heathlands. Threatened in NYS; rare endemic on Long Island and upstate. Napeague, Long Island, 2017.